Increasing the level of infrastructure in a province usually increases the amount of resources available. You’ll see the amount provided by infrastructure indicated by a ‘+ #’ value after the resource score while in the ‘build infrastructure’ mode. Provinces that provide very little of a resource won’t see a benefit from infrastructure. tip: building infrastructure can also unlock additional factory slots in the state. Yes, it sure does. It can be worth it to build up infrastructure in resource-rich provinces (especially if you’re short on that resource). 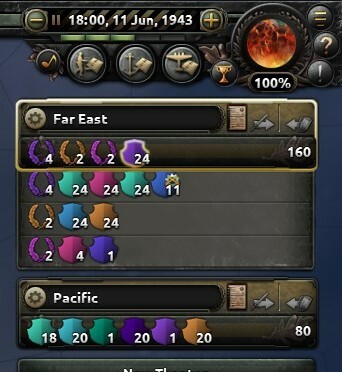 Playing the USSR is not an easy game for a new player. Having to manage a massive front, the purge, and a ticking German time bomb can be rough when you’re trying to learn the fundamentals! On the plus side, you have oodles of resources and industry to play around with a bunch of stuff, which is great. You have to have 10/10 infrastructure in a province, and you have to spend 100 political power to upgrade it to get 1 building slot. Unfortunately, it’s not a free upgrade. Really? I thought that was a separate mechanic. Is there a way I can send my volunteers home and get a fresh batch of units. My current group is sapped. Your volunteers are in it until the war ends or you enter a war yourself. Pull them back from the front and let them recover. Sorry another question on research. There are several things in the Engineering research tab that don’t actually tell you what they are going to upgrade. Would someone be able to tell me? If you have better decryption than the enemy has encryption, you’ll get a bonus in combat. If you can’t crack their encryption, you won’t be able to see all the details of enemy troops on the front lines. 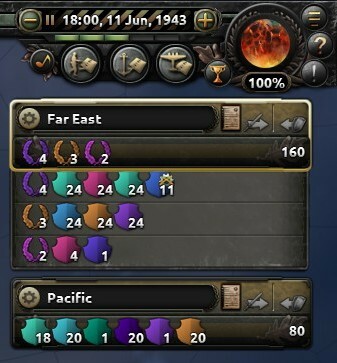 Where it would normally show the number of divisions, it will instead show “?”. If I’m not mistaken (I may be getting the names mixed up), the Fire Control System techs allow you to install those systems onto ships via the ship designer. They provide a good boost to your guns at the cost of some reliability.